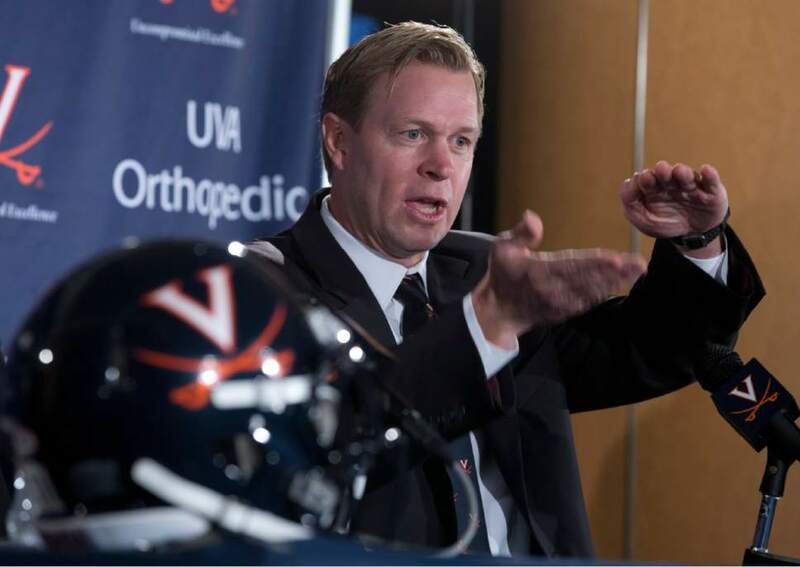 Shirts With Random Triangles: Bronco Mendenhall Cites BYU's Independent Status As Reason He Left To Become Virginia Head Coach. In an interview with USA Today, Mendenhall said that BYU independent status was "unsustainable," and that he had tried "everything I knew how to do to advance and pioneer that part. If I were to be really blunt about it, I took it as far as I could go in relation to that setting of independence." BYU left the Mountain West Conference in 2011. The program has only managed to break into the final USA Today Coaches Poll once in the five seasons following the move.